The other day I woke up on a cold, rainy morning with two over ripe bananas on my kitchen counter and a craving for something sweet. Bananas in that state are fairly rare in my house because I love them and usually eat them long before they get to that condition. The sweet craving is, unfortunately, an all too common occurrence. But I'm trying to stick to my new year healthy and light eating plan and I already know I'll be doing some cheating on Valentine's Day. 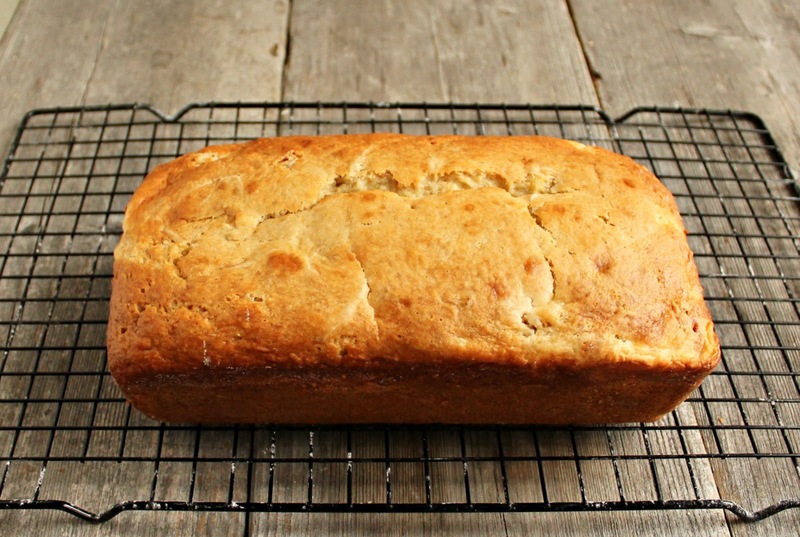 So, I decided to make a skinnier banana bread. I compared the myriad of recipes, did some calculations, flipped a coin and settled on these ingredients and quantities. Of course the bread would be even skinnier without the cream cheese swirl but I really, really like a swirl. I remember back in the early fall, there was a recipe going around Pinterest for ultra low-calorie pumpkin bread with a whole glob of cream cheese in the middle and I kind of had that in mind. So I skinnied up the swirl as well and a great new light recipe was born. The changes I made to lighten up a more traditional banana bread recipe were to replace half the sugar with artificial sweetener, cut the butter from 1 stick to half a stick and use low fat butter to cut the fat and calories further still. I didn't use any apple sauce because the buttermilk and mashed bananas were already adding a lot of the missing moisture. The cream cheese swirl is made with low fat cream cheese and uses only 4 oz. instead of the more typical 8 oz. By my calculations, each slice contains approximately 185 calories which is far less than a typical sweet bread. But, most importantly, it's totally delicious. Enjoy! In a bowl, sift together the flour, sugar, artificial sweetener, salt, baking soda and baking powder. Blend in the butter using a fork or pastry cutter until the mixture is a little crumbly. In a separate bowl, mash the bananas and add the vanilla, egg and buttermilk. Add the wet mixture into the flour mixture and stir to combine. In a separate bowl, mix together the cream cheese, sweetener, vanilla and buttermilk (or milk) until completely smooth. 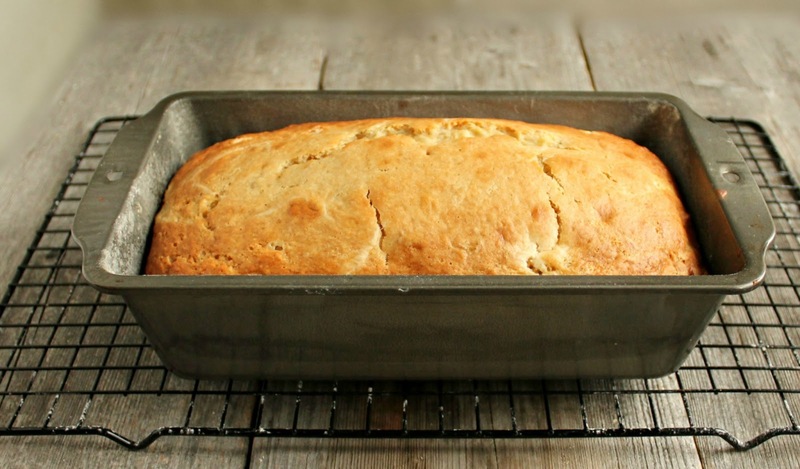 Pour half the banana batter in a buttered and floured loaf pan. Add the cream cheese mixture and top with the remaining banana batter. Using a butter knife, gently swirl the batter a couple of times but don't over mix. Bake in a pre-heated 350 degree oven for 50 minutes. Makes approximately 10 servings. I love banana bread. I am always looking for ways to make it like new all over again. The cream cheese swirl sounds fantastic. I typically top my slices with cream cheese. Ooooh I love how you transformed this! Brilliant! This looks amazing. I love the creamy filling!And, your not alone, I get sweet cravings all the time. 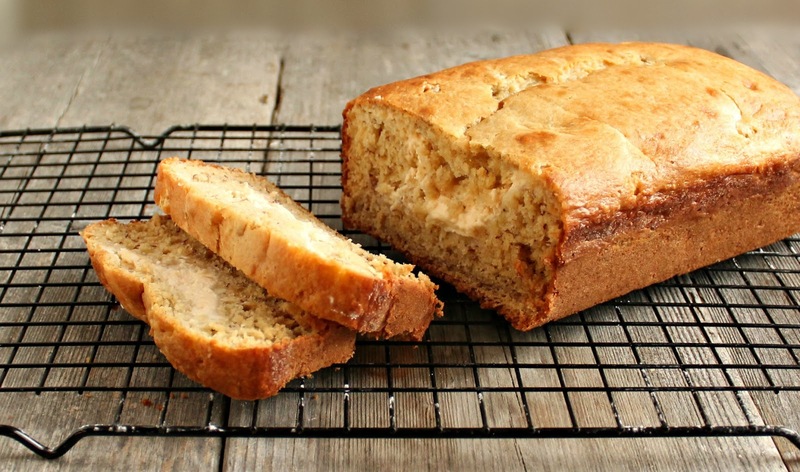 Love your lightened up banana bread. I looks so good, and I could take a bite of the swirl right now! This looks SOOOO good!!! Love love love it! I am loving all of your skinny recipes . Keep 'em coming! 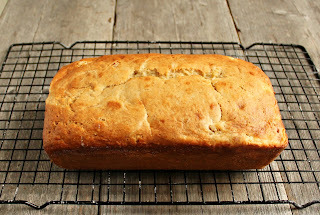 I love banana bread that doesn't call for nuts in it! This looks great! You're bringing a loaf or twelve of this when we move in with Kim, right? Oh, yeah...this sounds fantastic. And so glad you added the skinny swirl...yum! 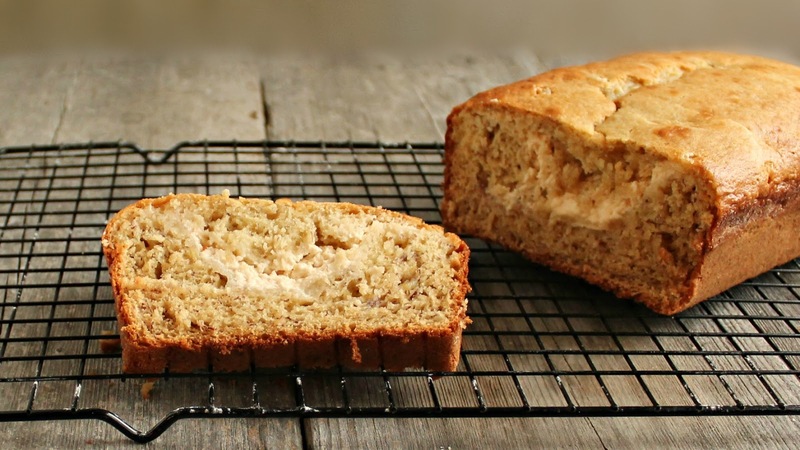 Banana bread alone is heaven, but cream cheese swirl!! That's like the ultimate bread! Love this skinny version! And I agree, a swirl just makes it even better! Can you use regular milk in the bread mixture also instead of buttermilk? Buttermilk is frequently used in baking instead of sour cream and both are acidic, whereas milk is not. I have tried adding milk in other baking applications and was not successful. My gut feeling is that milk will not work as well but I have not tried it in this bread. If you try it and it works, please do let me know. Thanks! tiredness are some other added benefits of taking this brain tonic. You will not be given a Pez dispenser full of one-size-fits-all pills. move on in life and stop brooding about him. I love breakfast food - for breakfast, lunch, and dinner - and would def not mind eating these for multiple meals!